The combined turnover achieved in the arms production by the top 100 arms producers in the world is estimated at 418.8 billion dollars for 2010. In 2010, the top 100 of the arms industry had 46 American firms, 25 firms from the European Union and 29 companies established elsewhere in the world. 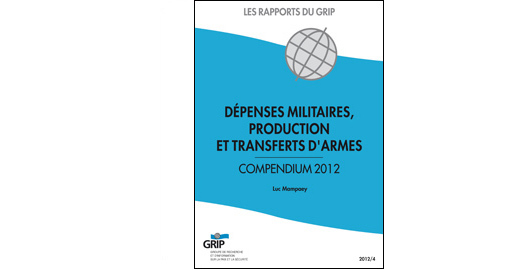 In 2010, arms transfers were distributed at approximately 27% for the EU, 35% for the United States and 24% for Russia, all other countries sharing the remaining 14 %. Excluding intra-EU transfers, net exports from the EU to the rest of the world accounted for approximately 21% of world total. Assessing the financial value of arms exports in the world is about 50.6 billion dollars in 2007, representing approximately 0.29% of world trade in goods and services. A A distribution of the world arms imports according to the Human Development Index (HDI) prepared by the United Nations Program for Development (UNDP) indicates that the poorest countries in the world (low HDI) imported 14% of the global arms transfers in 2010. This is a sharp increase for the fifth consecutive year.